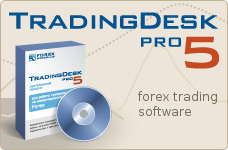 Forex demo account gives you a full functional access to DealingDesk-2000TM and allows you to trade within a real-time market rates, observe all the details of the account calculated for your current profit / loss in real-time, graphs, news and others useful tools required for currency trading. Since a general forex demo account is free of charge you can use it for training purposes at any time without any obligations. To be registered as a forex demo user, you have to go through the easy registration by doing the following: launch DealingDesk-2000TM, go to register for demo, where you will be asked to indicate log-in name and password you'll use to access to DealingDesk-2000TM during your demo period. In the same way as a General Forex Demo, Competitive Account is free of charge as well. But this way you'll have one more advantage — participation in competition which gives you a chance to win real money for your real forex account. To open a competitive forex demo account, just mark the empty box opposite the question "Would you like to take part in competition?" while filling out the form, and you're in. You can see your current trading position in the top list of all participants at any time on our Web Page. The page is being updated every 5 min. At the end of the week, on Friday evening, when the market is closed, one of the participants who was able to show most profitable percentage indicator will be granted money required to open a real account. A pen and paper to note your user ID and password you will use for access to Dealing Desk after registration. Click the "Register for Real Account" button to launch the applications. Enter the required registration information. Enter your Bank details to secure your deposit/withdraw process. When you've entered all required information, click Next. NOTE: The information you provide on this screen will not be used until you OK the final registration screen. Verify that the information is correct before clicking Next. The Register Summary screen shows all the information involved in the registration you are about to make. If any information is incorrect, choose Back to move to the appropriate screen and make changes. If all information is correct, choose "Finish" button. Once you've finished the registration process, the software launches automatically! Your account number and registration information are automatically entered into the product for you and registered at central data base of Dealing Desk system. You can now enjoy your personally-registered real trading account! At this time, you'll have an access to your personal trading information, but from the beginning you can see that your current balance is zero and you're unable to make any deals with it. Go straight to the 'Real Account' menu, then to 'Deposit' where you have to insert the amount of your initial marginal funds and push the 'send order' button. NOTE: this preliminary order is require each time before you will wire the funds to our Bank. As soon as your marginal funds comes in you can start your real trading. Usually it takes 2-3 days. Withdrawal procedure is not complicated, even easier. But before a withdraw request, you have to close all opened positions, and cancel all orders, Than, you go straight to the 'Real Account' menu, then to 'withdraw' fill the amount you wish to withdraw to your Bank account and push 'send order' button. And we will wire your money back to you Bank account. All your deposits and withdrawals must be associated with your Bank Account you indicated in the registration form. For security purposes we do not allow our clients to make money transfers using third parties.